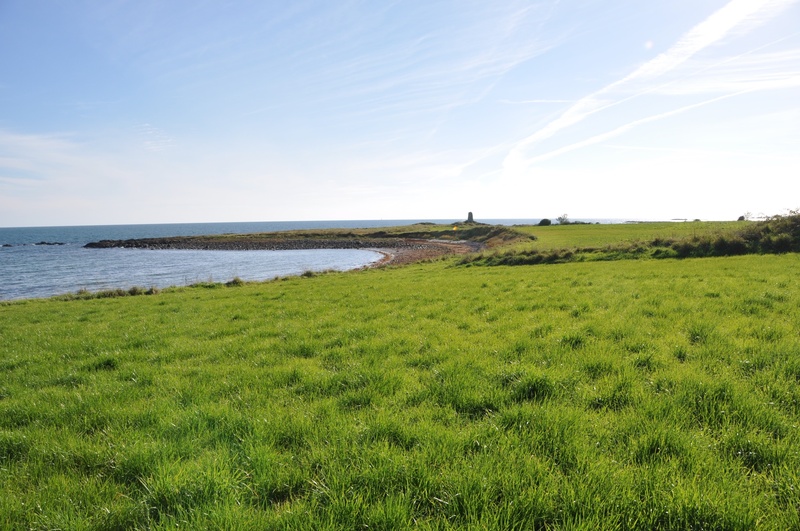 Today’s townland is a small one on the Irish Sea coast of County Down. To be fair, the townland of Miller Hill is bigger than that rockpool. It lies south of the town of Donaghadee, around the junction of the Craigboy Road and the main road (A2) between Donaghadee and Millisle. Between the sea and the road lies an old graveyard, known as Templepatrick (yes, confusingly, it is named after a different townland). 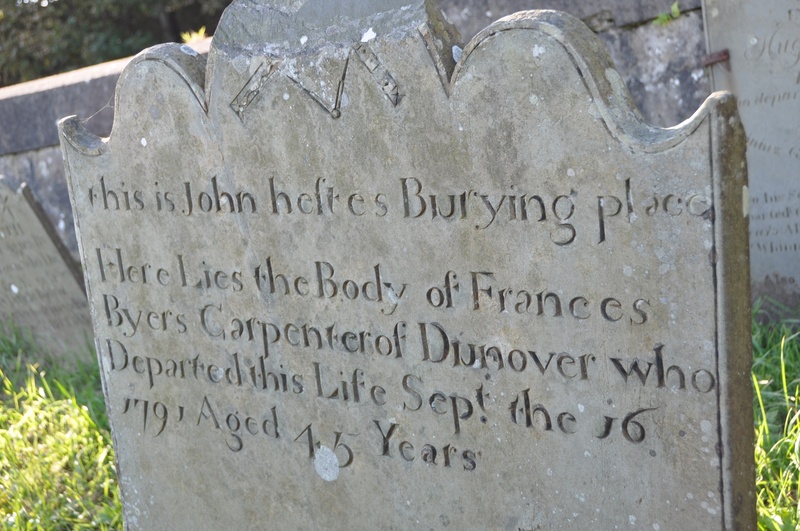 Gravestones from here have already featured on this blog, in my posts from Craigboy and Ballyvester. Here is one of the older stones, from 1791, for Frances Byers from the townland of Dunover, which is further south on the Ards Peninsula. 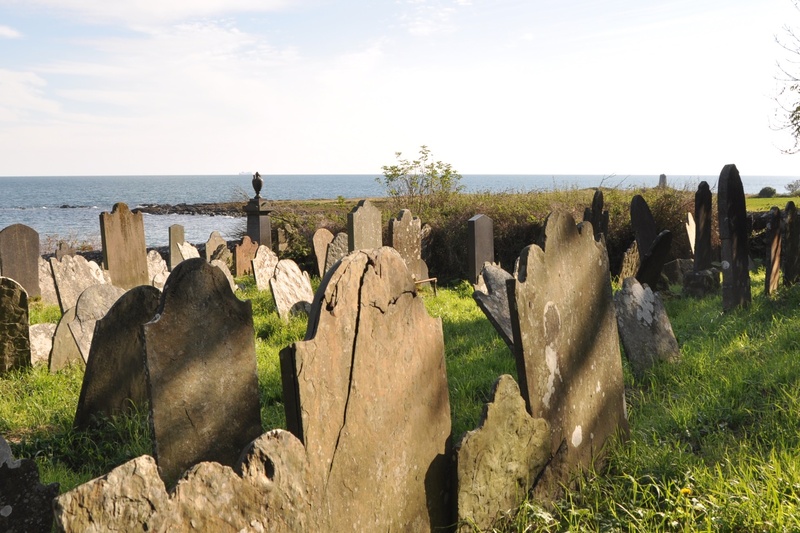 I haven’t seen any gravestones with the name Miller Hill, which is not surprising, because it is a relatively recent name. The PLACENAMESNI website suggests that Miller Hill was a new name coined by English speakers and not recorded before 1839 (although it could be a translation of an earlier Irish name). The largest building in Miller Hill is the Croagh Patrick Care Home, built on the site of the home of Richard Gustavus Heyn, owner of the Ulster Steamship Company, in whose memory a standing stone was erected on the shoreline. 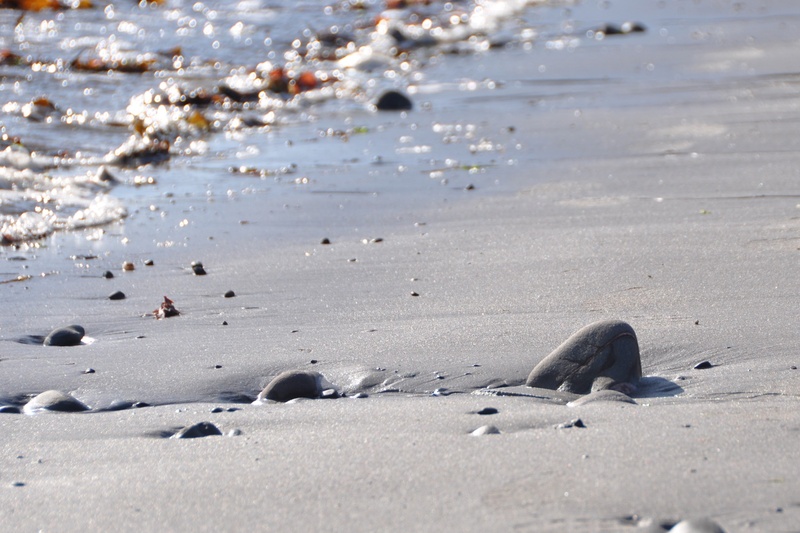 You can see the stone in the centre of the next photo. 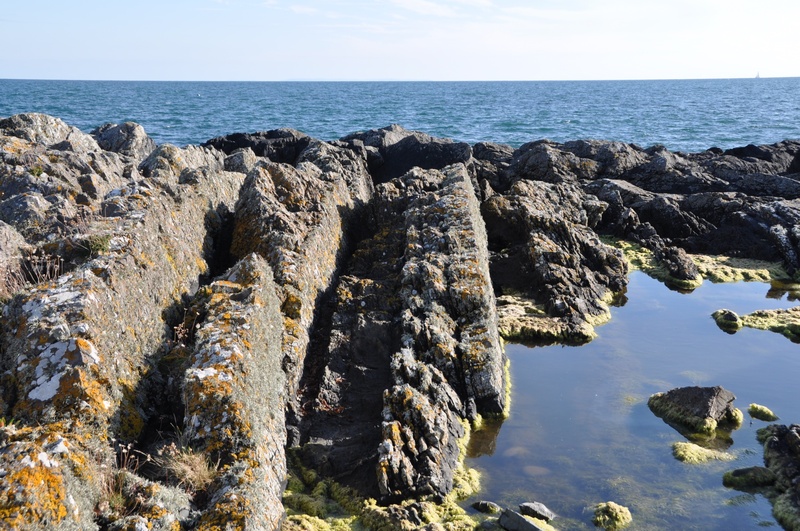 This piece of coastline is described in the local council’s “Millisle Walking Guide”. One of its claims is that in the 1850s engineers laid a submarine magneto-electric telegraph link between Portpatrick in Scotland and the Irish Coast at Miller Hill “from just outside the graveyard at a place known as Cable Corner”. 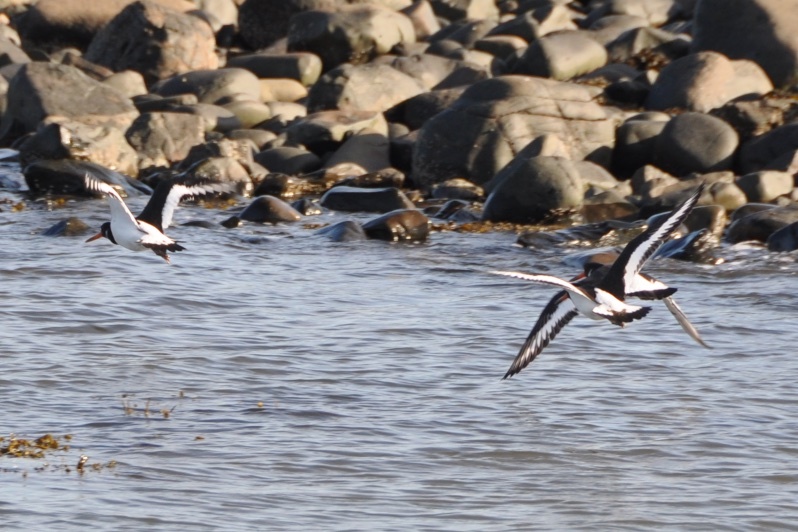 I have no images of cables, just pebbles and oystercatchers. 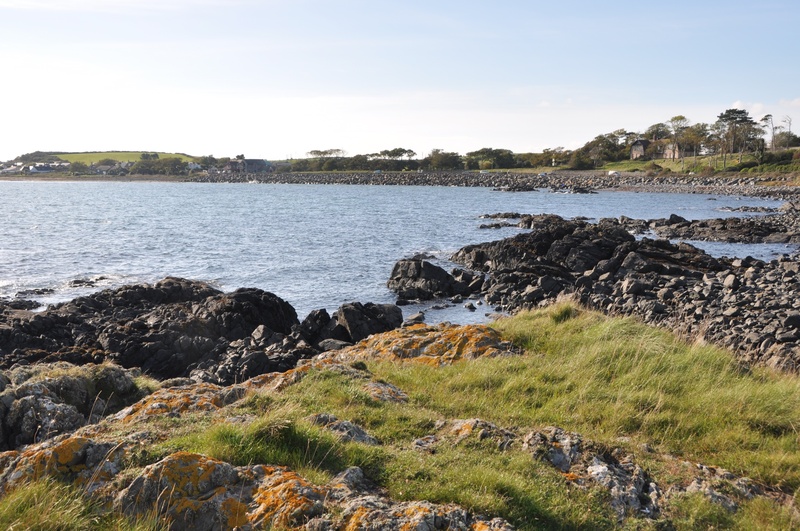 Click here to read or download the Millisle Walking Guide. Click here to read accounts of the various attempts to lay telegraph cables between Ireland and Scotland, often frustrated by severe weather and currents. Which townlands border Miller Hill? To the north, Templepatrick. Inland, to the west, Craigboy. To the south, Ballycopeland. Click here for a map of Miller Hill on Townlands.IE. Click here for a link to a 19th century map of Miller Hill on the website of Ordnance Survey Ireland. I have been doing a little research & have come across a ‘brickworks’ at Miller’s Hill dated mid-1800’s. It is the content of a local poet, James Munce, who was known as ‘the Rabbie Burns of donaghadee’! Excellent, that gives me material for two more townlands – Dunover and Ganaway.